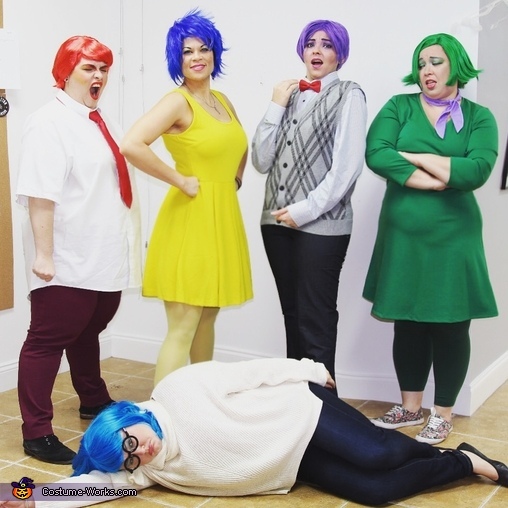 Nicole is Joy, Claudia is Disgust, Anais is Fear, Kim is Sadness, and Katrina is Anger. Each of use purchased our wigs from Amazon or Spirit Halloween prices varied from $15 to 40 because of availability. Most of the outfits are just everyday clothes either owned, or purchased from thrift shop, amazon, or overstock.com.